- The Spiritual trait is an emotional trait for sims. 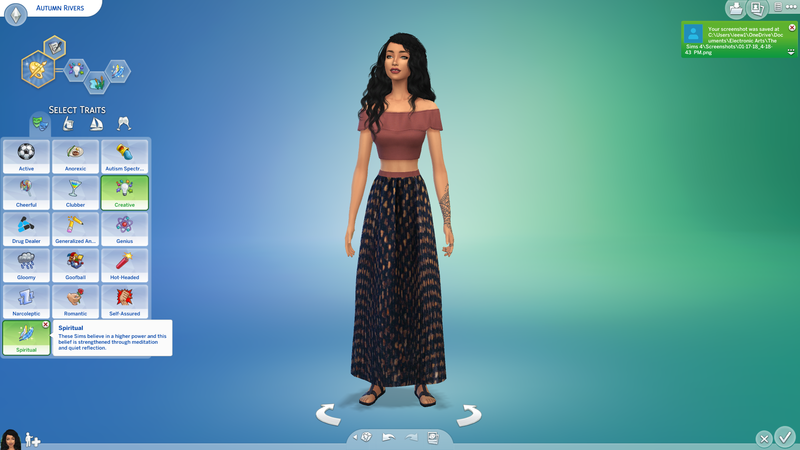 I designed it to allow sims to mimic the sort of new-age spirituality that has become pretty popular in the last few decades. It is a standalone trait , that you'll see along with the regular EA traits in Create-A-Sim. Teen+ sims can have the trait, and it affects game-play mainly in the area of buffs (see function). 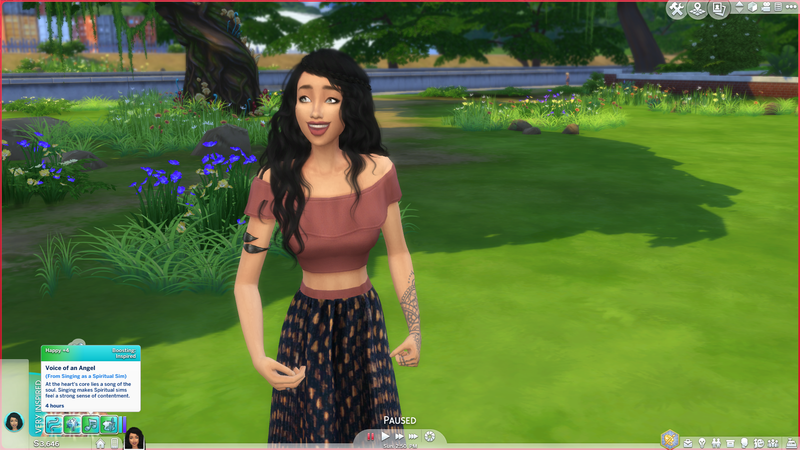 - The Spiritual trait is a trait that makes the activities associated with the wellness skill more enjoyable for your sim. Activities such as doing yoga, meditating, woo-hooing, and playing music will give your sim various (extreme) positive buffs (i.e. inspired, focused, happy, confident etc.). Most of the effects last between 2 and 4 hours. - No additional requirements other than the official base game and Spa Day. 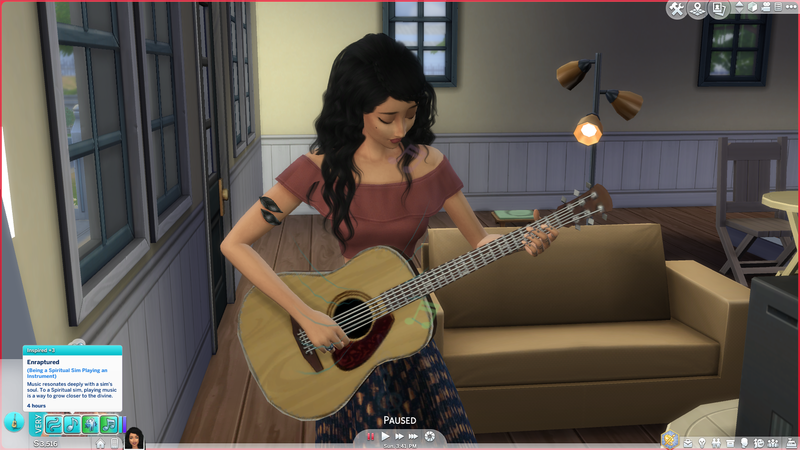 - Whims aren't affected by this trait, however running interactions will create new buffs - For example, things like playing music and singing will make your sim happy or inspired. 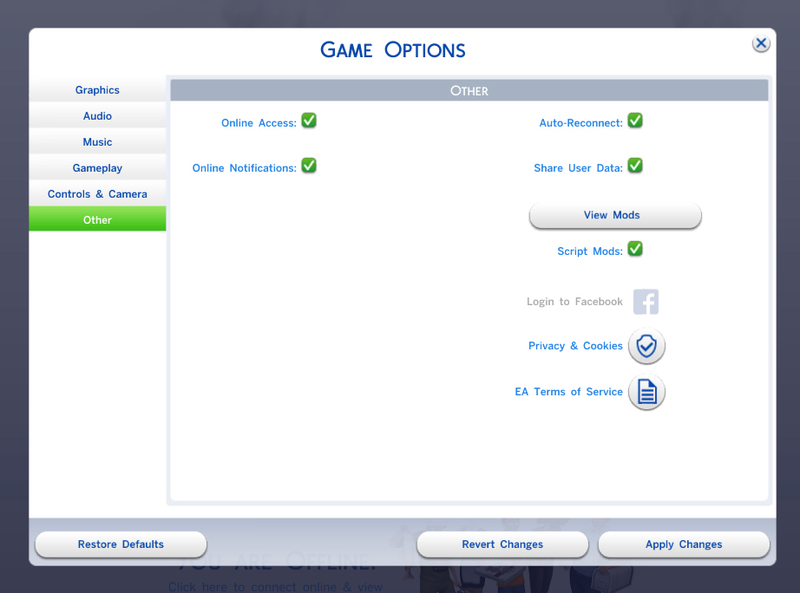 It also won't affect relationships with other sims. Sims with the spiritual trait will build the wellness skill and the arts related skills (singing, guitar, painting, etc.) 1.5x faster than other sims. Autonomy, needs, careers, or relationships are unaffected by this mod.